In Imperial Nebraska, bills never seem to end for Todd and Sonja Burpo (Greg Kinnear and Kely Reilly), parents of 10-year-old Cassie (Lane Styles) and four-year-old Colton (Connor Corum). Todd is a well-liked pastor at the Crossroads Wesleyan Church but his main source of income is his work as an electrical repairman; Sonja is a full-time housewife and choirmaster. They’re deep in debts and when Todd gets hospitalized for a broken leg and kidney stones, the situation seems to swallow them like quicksand. As if it weren’t bad enough, their son suffers a ruptured appendix, calling for surgery and causing more hospital bills. Life seems to turn for the worst when Colton, recovering against the odds, starts telling his parents stories of going to heaven, seeing Jesus and angels singing to him while he was under surgery, meeting long-dead relatives he never met. The stories attract the press, disturbing some parishioners who feel that their church is turning into a circus. The financial and emotional burden adversely affects Todd’s preaching, further upsetting the community’s skeptics who move to have him replaced as its pastor. 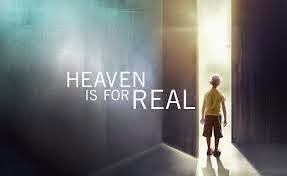 In this fact-based drama adapted from New York Times bestseller “Heaven is for Real”, heaven unfolds through the eyes of a child, which the CGI aptly supports: heaven is a place of light and beauty among the clouds but is located somewhere beyond the sacristy; angels are ethereal winged beings of light with such delightful laughter; Jesus sports a beard, bushy eyebrows, and “greenish blue eyes”. Also, Colton says nobody wears eyeglasses in heaven, and “everybody’s young there”. Semler’s cinematography happily brings out the charm of the Midwestern farm country, and blended with the sensible CGI makes for a realistic setting for the theme. Minus some melodramatic moments that could be taken as the natural outcome of the characters’ incredulity, the movie is well-acted, effectively bringing out the crisscrossing viewpoints surrounding the question of near death experience. A big factor contributing to the accessibility of Heaven is for real is its casting—had it used big name stars it would have been a flop. It’s the ordinary-people quality of the actors that works for the credibility of the story. Colton’s actor, the adorable 6-year-old Corum, is born for the role. Blu (Jesse Eisenberg) and Jewel (Anne Hathaway) travel to the Amazon with their three kids and their friends Rafael, Nico and Pedro to help Linda Gunderson (Leslie Mann) and her husband locate the near extinct Spix macaws apparently residing in there. Big Boss (Ferrer), head of illegal loggers and Nigel (Jamaine Clement), Blu’s former nemesis, attempts to trap the macaws and the Gundersons for revenge and personal interest. In the Amazon, Blu meets Jewel’s family and tries hard to win their respect and acceptance despite being domesticated. All these adventures take place as the animals of the Amazon, led by the Macaws against the loggers. 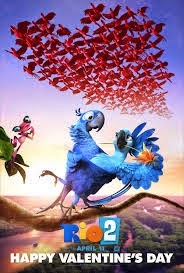 Rio 2 is definitely above par most animated sequels with all the colors, music and production sequences that make animation endearing to viewers. But after getting over the cinematic efforts of the producers, Rio 2 lacks the narrative and creative charm of its predecessor. The story flows but not without effort and mostly because of the music and hilarity instead of the plot. 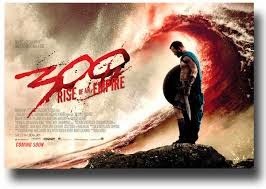 The movie is well-animated, well performed, well produced but just has too many sub-plots and conflicts and characters to the point of being a little senseless. Despite narrative shortcomings, Rio 2 is still an entertaining and worthwhile film for the family. Sadly, man, whom God entrusted His creation, is at the forefront of the destruction of nature. Rio 2 reminds to become faithful stewards and caretakers of the beauty of life around us. We appreciate how Scarlet and Spix Macaws, enemies by nature, easily put their differences aside to defend their habitat—if only people can learn to set aside personal interests and serve the common good as well. On the other hand, Rio 2 attempts to bring forth in-law issues of acceptance and fitting in. These are perhaps the greatest struggles spouses go through, especially if the other family has opposing ideals and principles. How much will a person be willing to let go of himself/herself for the sake of peace and unity between families. Again, if only people can learn to set aside personal interests for the common good then family life (and in-law life) will be a breeze. A condensation of the 10-hour mini series “The Bible” in 2013, Son of God opens with a narrative, with the exiled, salt-and-pepper haired St. John the Evangelist (Sebastian Knapp) telling the story from the island of Patmos (Greece). 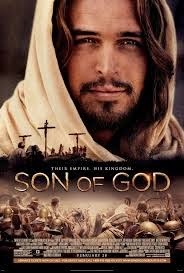 Son of God hops from Adam and Eve to Noah to Abraham apparently in preparation for the birth of Jesus, but the story finally begins as Jesus (Diogo Morgado) launches his ministry, asking Peter (Darwin Shaw) to be a fisher of men after giving the fisherman a miraculously bountiful catch of fish. The rest is history familiar to believers. Coming into a territory where superior films of the same genre have trod, Son of God may find it difficult to impress sophisticated viewers with its episodic treatment of the life of Christ. 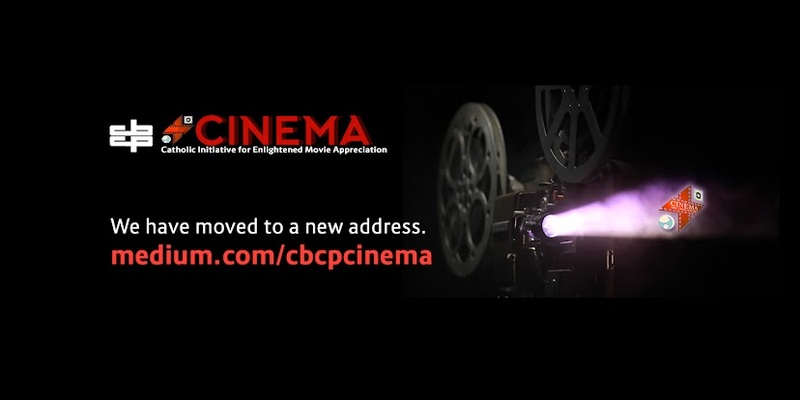 Technically it will suffer by comparison to the likes of Franco Zeffirelli’s television miniseries “Jesus of Nazareth” (1977), and Mel Gibson’s all-time blockbuster The Passion of the Christ (2004). While the miracles of Jesus almost take center stage here, somehow their portrayal lacks the jaw-dropping magnificence of the divine and the supernatural combined. The rising of Lazarus from the dead doesn’t grip the heart—instead it just looks like… well, like over-aged students acting at a high school drama. Jesus walking on the water? So cheesy it mocks the real thing. The multiplication of the bread and fish—aw, enough! There’s something amiss in these and in many other scenes so that most of the movie feels like a movie, period. Does the cinematography lack imagination? Are mere trainees in charge of CGI? Is the dialogue, the delivery of the lines, the director, or the music at fault? Is the culprit the viewer-friendly Jesus, the Portuguese model-turned-actor Morgado? Maybe he smiles too much or reminds the viewer of Marlon Brando and Brad Pitt so that he fails as a worthy communicator of divine action—but to young viewers he will most likely come across as a cool Jesus. So cool one couldn’t warm up to his agony on the cross. There are also little things that tend to unsettle a discriminating viewer, like that first appearance of Jesus to the apostles after the resurrection. We are told that the disciples, out of fear, locked themselves inside a room with doors shut, and that Jesus appeared in their midst. In Son of God, this episode shows Jesus walking through an open door, smiling, and showing them the CGI hole in his hand. Another one: Jesus was buried in a new tomb in a garden, right? Here his grave is something like a cave in the middle of a desert. Et cetera, et cetera. This is not to say that Son of God has absolutely nothing worth seeing about it. Despite its disappointing (technical) flaws, it is still a good introduction to the life of Jesus Christ. It is an earnest production, for one. The lead cast—Greg Hicks as Pontius Pilate, Adrian Schiller as Caiphas, Joe Wredden as Judas, Roma Downey as Mary, Amber Rose Revah as Mary Magdalene—carry out their roles with sincerity and passion. Even the extras appear dead serious about their bit parts. The apparent conviction behind the performance of the cast is Son of God’s saving grace—the actors all seem to believe they are engaged in a laudable project, and that is enough to make believing viewers feel it’s a worthy reminder to have in an increasingly irreligious world. An added surprise is the prominence given to Mary from beginning to end in this supposedly non-Catholic production. That it highlighted the mystery of the incarnation, focused all throughout on the closeness between Mary and her son Jesus, and featured CeeLo Green’s moving song “Mary Did You Know” as the credits rolled in the end speaks volumes about the quiet work the Mother of God does in the hearts of her children. While CINEMA gives Son of God a PG 13, parents are advised to shield younger children from the possibly frightening effects of the violence in this movie.